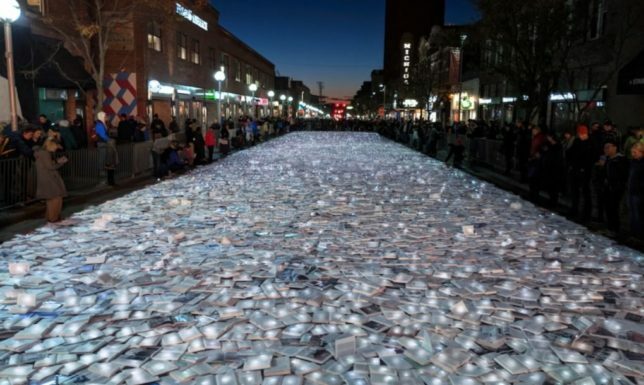 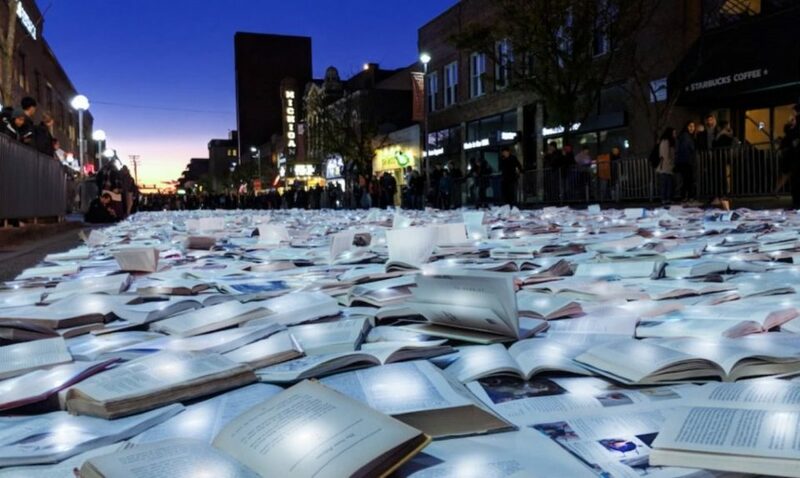 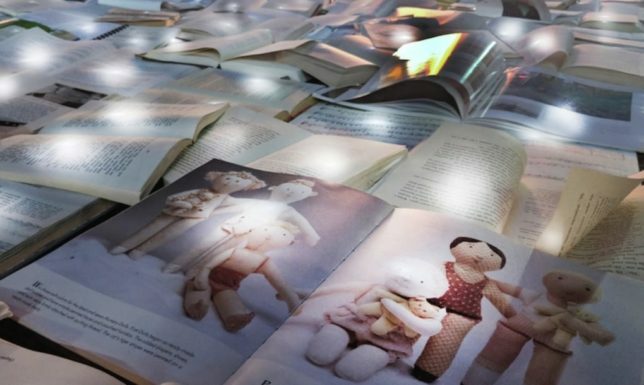 Volunteers attached small lights to the books, which were gifted back out to the community when the project was wrapped up — visitors were encouraged to take books with them when they left, leaving the streets clean and empty by midnight. 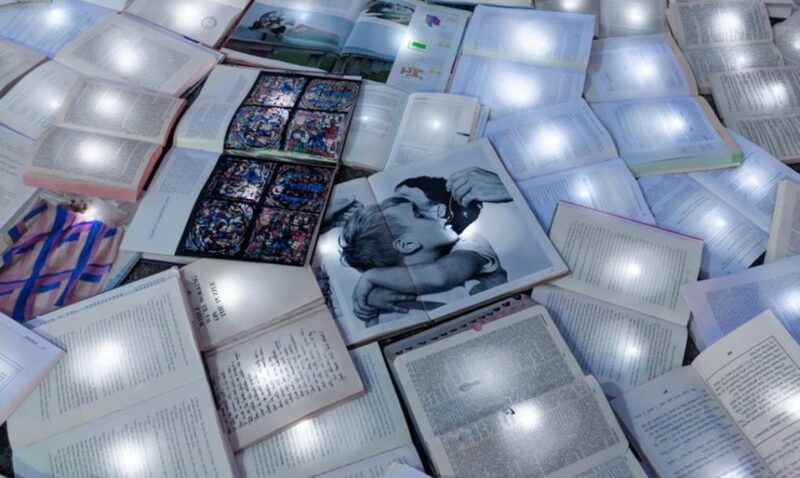 Luzinterruptus is a Spanish design collective that is traveling the world, collecting volumes in each location for these city-specific installations. 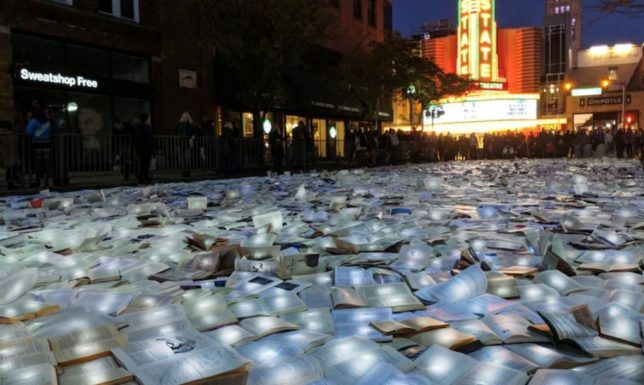 The proximity to Motor City was particularly apt in this case, too.